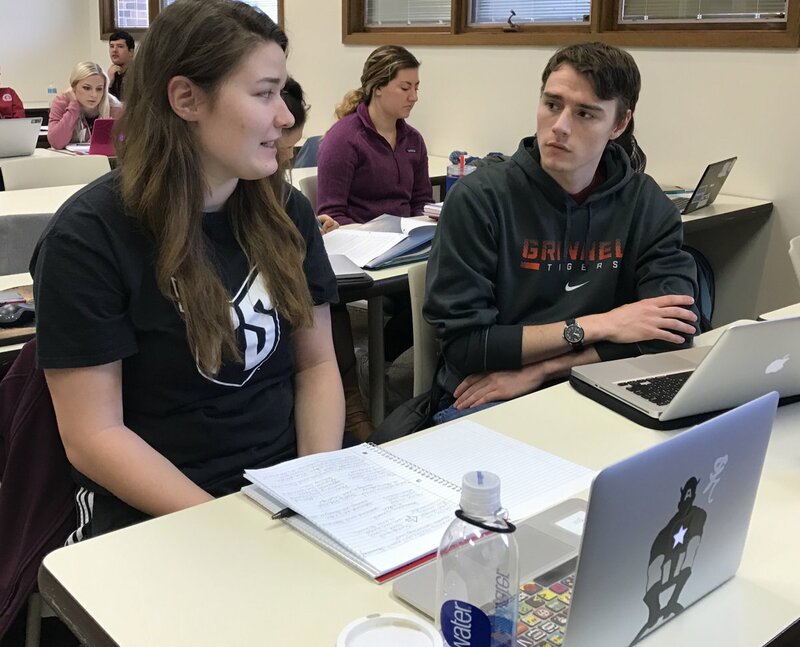 Two of my Media Law & Ethics students, Daryl Batt (left) and Randy Paulson, work through the issues in a classroom discussion on whether the election of Donald Trump as president signals a shift in American democratic values. Higher education is expensive and out of reach or economically stressful for many students — so much so that students are more interested in pursuing careers than in having the intellectually transformational experience that higher education should be. We can talk about philosophy and history and literature, but what’s really important is getting a job. Wesleyan University president Michael Roth argues that the values of liberal education now are more in need than ever and that universities and colleges should continue to push the edge of the envelope, not to indoctrinate or offend, but to encourage what our system of higher education — and, indeed, our free-speech tradition should promote: Civil argument, rational debate and hearing each other’s perspectives. Why aren’t students willing to disagree or debate in class with ‘pointy headed academics’? From my perch at the front the classroom, it’s often disheartening to look on a sea of faces, many of them belonging to people who likely passionately dispute the things I say, and to hear nothing from them. What can we — all of us — do to encourage a ‘marketplace of ideas’ that is a fact, not just a theory presented in Media Law & Ethics?